The lack of snow here is just about all anyone can talk about, so I won’t. Instead, here are some recent photos of me, Ian and our friend Michael Hayes making lemonade out of lemons. For my birthday, Ian organized a proper adventure. 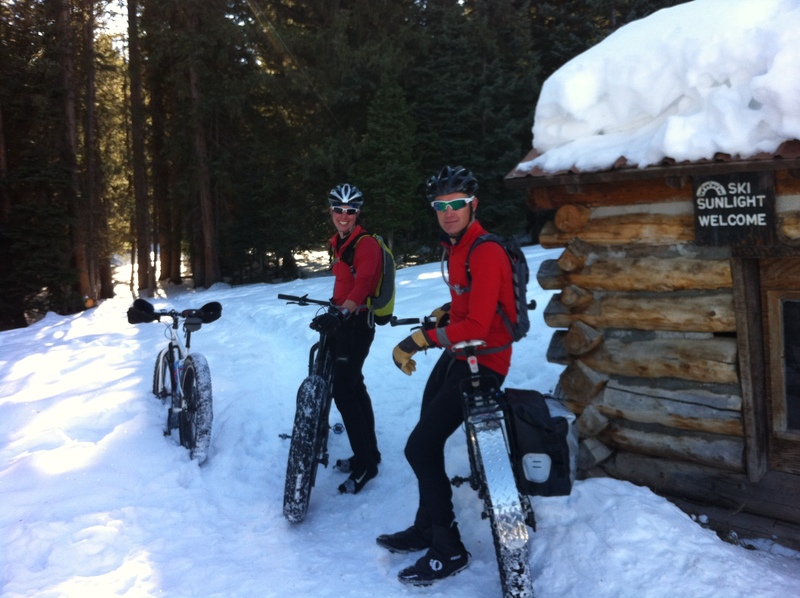 We planned to ride from Marion Gulch in Carbondale to Sunlight Mountain on a series of maintained snowmobile trails. I borrowed a new Surly Moolander from our friend Darin Binion who owns the Gear Exchange in Glenwood. 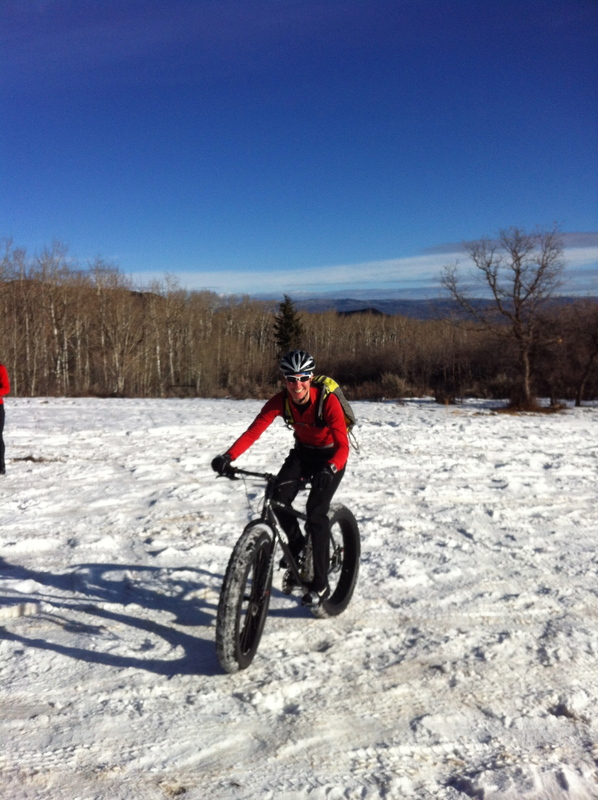 The Moonlander has five inch tires and it proved to be have impressive traction and floatation on the snow packed trails. Ian and Michael on their Pugsleys, were both envious. 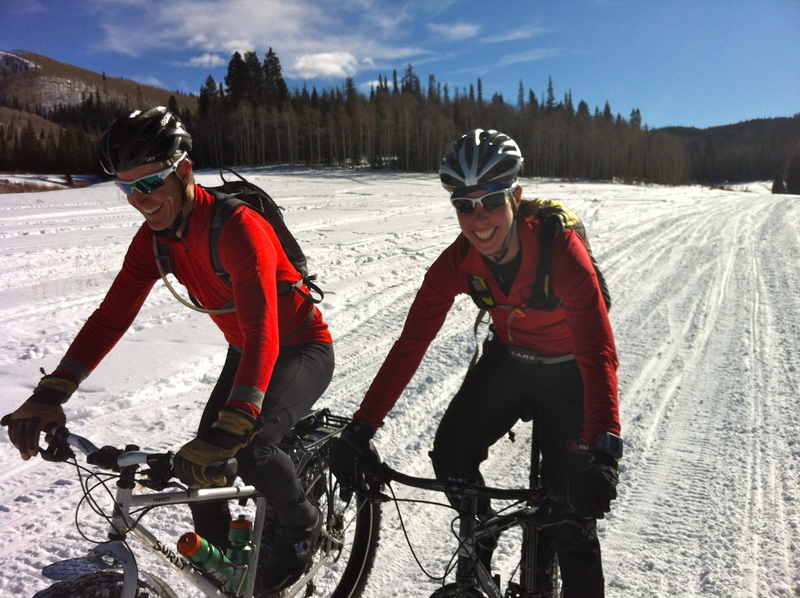 Riding up Marion Gulch with Michael Hayes (and his fancy diamond-plate custom fenders). Riding in 4-Mile Park above Sunlight. 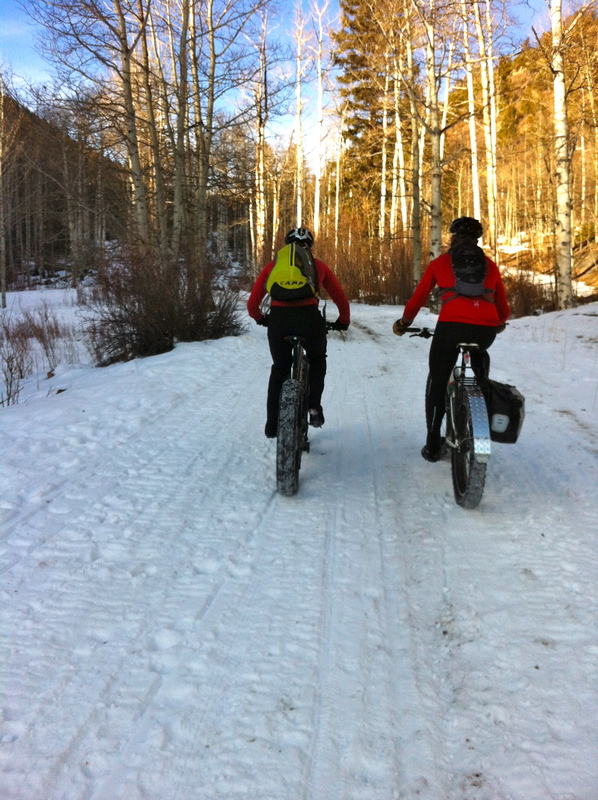 Michael and I up Babbish Gulch. 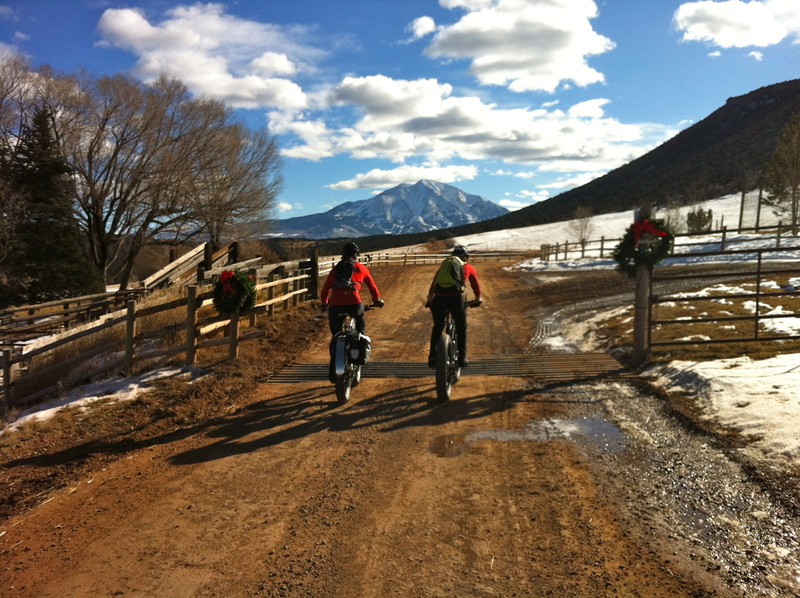 Riding back on Dry Park Road. In all the 30-mile ride took us four hours. It was the perfect way to spend my birthday. Otherwise, I’ve been training on my rando gear whenever possible, usually early morning up at Ajax. Ian and I are heading to Jackson Hole on Friday for the US National Ski Mountaineering Championships. It’s going to be to tough race with an especially competitive women’s field.